Orders are currently closed, but if there is sufficient demand we may print more of these in 2018. If you are interested, please place an order, and we will contact you about the next delivery and to ask for payment once we know we have enough interest to produce another batch. Orders are being taken for a print run on 8th May, with deliveries as soon as the garments are ready. Please place your orders, and send your payment to Piers by BACS. We’ll keep you notified until all orders have been shipped, hopefully by the end of May at the latest. 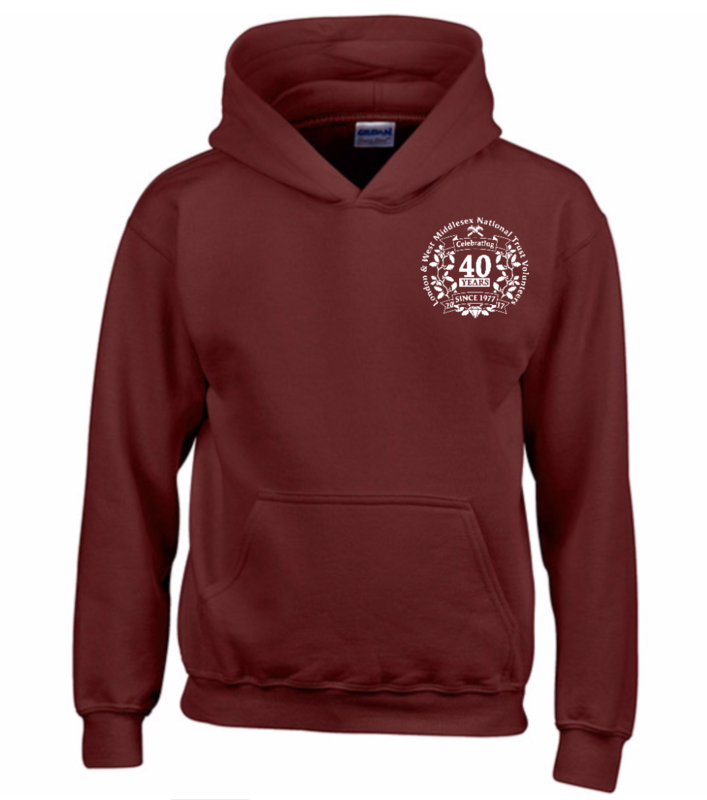 By popular demand, this burgundy hoodie is printed with the same design as the polo shirts and t-shirt, front and back. Simple, warm and comfortable. An essential for any hoodie lover. Twin needle stitching detailing. Double fabric hood with burgundy cords. Kangaroo pouch pocket with small hidden opening for earphone cord feed. Ribbed cuffs and hem. Worldwide Responsible Accredited Production (WRAP) certified production. Please note, all garments are made to order, once orders are placed it may not be possible to cancel. Garments can only be returned if faulty, please check your order for correct size/type before payment – many thanks. Printed design: The inks are organic, contain no animal by-products and are completely vegan friendly. Product images are for illustration only, colours and print layout may change slightly. Further garment information.